Lori Bakker: You are a doctor? Lori Bakker: Oh my goodness! I love it! This is great, we just found out more about you. Family Research Council where Boykin is Executive Vice President didn’t respond to a request for information about Boykin’s claim. His academic bio at Hampton-Sydney College doesn’t list a PhD so I assume he is referring to his “PhD” from Phoenix University of Theology. Read more about the diploma mill here and here. I think Lt. Gen. is a pretty cool title, but apparently Boykin thinks fraudulent academic credentials give him an advantage. 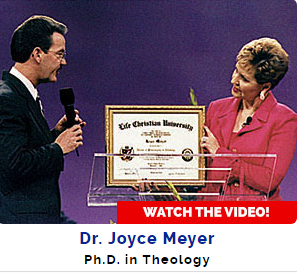 I realize there are bigger fish to fry but claiming fake degrees strikes me as a symptom of the credibility problem that ails modern evangelicalism. Why Is David Barton Better Than Amy Robertson? Last night, Amy Robertson resigned as incoming principal of Pittsburg (KS) High School amid revelations that her graduate degrees came from a unaccredited diploma mill. After she was hired, the high school newspaper staff researched Robertson’s claims that she had a master’s degree and a doctorate from Corllins University, an unaccredited entity which gives degrees in exchange for life experience and a fee. Now she isn’t going to be principal at PHS. Almost seven months ago, David Barton posted a video in which he claimed to have an earned doctorate. He ridiculed “progressives” for saying he didn’t have the degree. Although he didn’t say where he earned it, I quickly discovered it came from Life Christian University, a diploma mill in Florida. Barton didn’t even have to attend the school. The president of the “school” confirmed that Barton was given a doctorate without taking any classes. The day after I identified the degree as coming from Life Christian University, Barton took the video off of his You Tube and Facebook pages. Since then, Barton has not commented or replied to Facebook questions about the doctorate claim. Apparently, Barton’s supporters don’t care. There is something profoundly disturbing about a public school system getting it right and the evangelical celebrity complex getting it so wrong. Here we have a public school district, you know a school evangelicals-against-common-core love to hate, acting with integrity. However, those who support Barton, such as Glenn Beck, don’t hold him accountable for his academic fraud. Shouldn’t Barton come forward, admit he tried to pass off a diploma mill doctorate as earned, and apologize? As it stands, David Barton is chairman of the Board at Mercury One and will get to be the head of Glenn Beck’s history museum while Amy Robertson is now looking for another job. In the case of Amy Robertson, public high school students possessed the moral and intellectual integrity to seek the truth while Christian media have done little (here’s a notable exception) to dig into the subject of Christian celebrities and academic fraud. I bet Amy Robertson wishes she was a Christian celebrity. Author Warren ThrockmortonPosted on April 5, 2017 Categories david barton, diploma millTags Amy Robertson, david BartonLeave a comment on Why Is David Barton Better Than Amy Robertson? Through a twitter user, I recently learned about the Pittsburg (KS) High School newspaper staff who uncovered diploma mill degrees in the resume of a newly hired principal, Amy Robertson. Ms. Robertson was hired by the Pittsburg School District to fill a principal position beginning next school year. She claimed to have a master’s and doctorate from Corllins University. However, the high school newspaper staff investigated that claim and reported to the school community that Corllins is not accredited by a reputable accrediting body. Furthermore, the school appears to be a diploma mill. However, last night, the Pittsburg school board accepted the resignation of Ms. Robertson and Superintendent Destry Brown pledged to go to the school and thank the students for their hard work. Apparently, somebody checked a little closer and found that the student journalists were correct about Corllins University. Watch the school board accept Ms. Robertson’s resignation. At the end of the video, a parent stands and asks the school board to acknowledge the hard and accurate work of the student journalists. I hope Mr. Brown made good on his promise to go visit the student’s and thank them personally. District Hires New Principal – The Pittsburg High School newspaper which details the concerns about Ms. Robertson’s degrees. Brown Refutes Claims in School Paper – The local paper took issue with the students’ research and reported that the school board supported the new principal. Even as late as last night, the editor of the local paper said the article was wrong. Then, to his credit, he offered a mea culpa. Board Accepts Resignation of Dr. Amy Robertson Amid Questions about Her Credentials – The superintendent walks back his previous confident assurances that the credentials were acceptable. 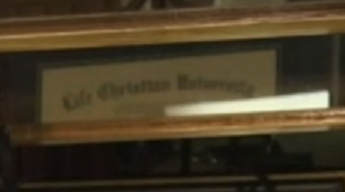 It seems pretty obvious to me from the Corllins University website that it is a diploma mill. 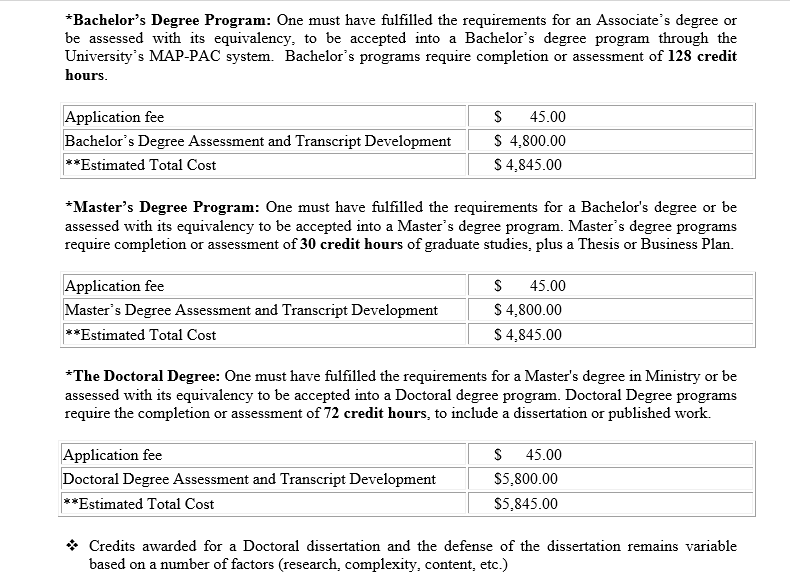 You can even get a free honorary degree with the purchase of another degree. 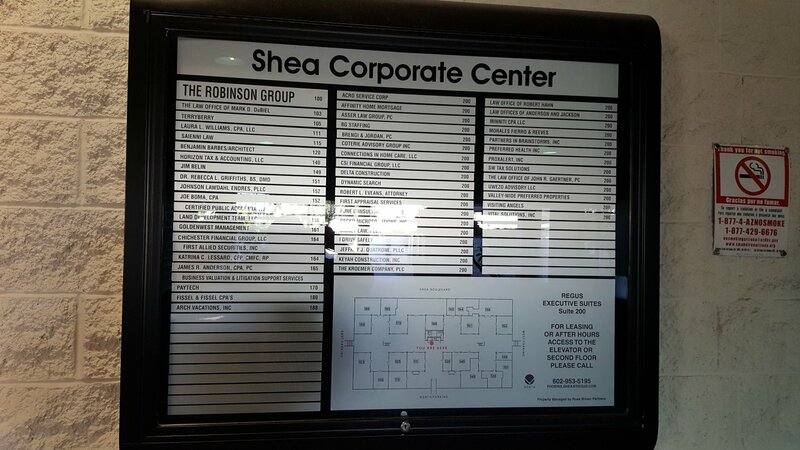 It is not accredited by any body recognized by CHEA or the Department of Education. The accrediting bodies mentioned on one of Corllins’ website appear to be made up. Neither have a working website. To the journalists at Pittsburg High School, I say congratulations and good work. The Washington Post has a really nice write up of this story just out today. Now when will someone hold David Barton accountable for his claim of an earned doctorate? Author Warren ThrockmortonPosted on January 2, 2017 Categories diploma mill, dominionismTags Phoenix University of TheologyLeave a comment on Where in the World is Phoenix University of Theology?